Click here to learn more about our Summer 2017 Institute! Or scroll to the bottom of the page for previous Institutes. The Dialogue Institute has been hosting Study of the U.S. Institutes (SUSI) for Student Leaders since 2010, focusing on Religious Pluralism in the United States. To date, more than 250 alumni/ae have participated. 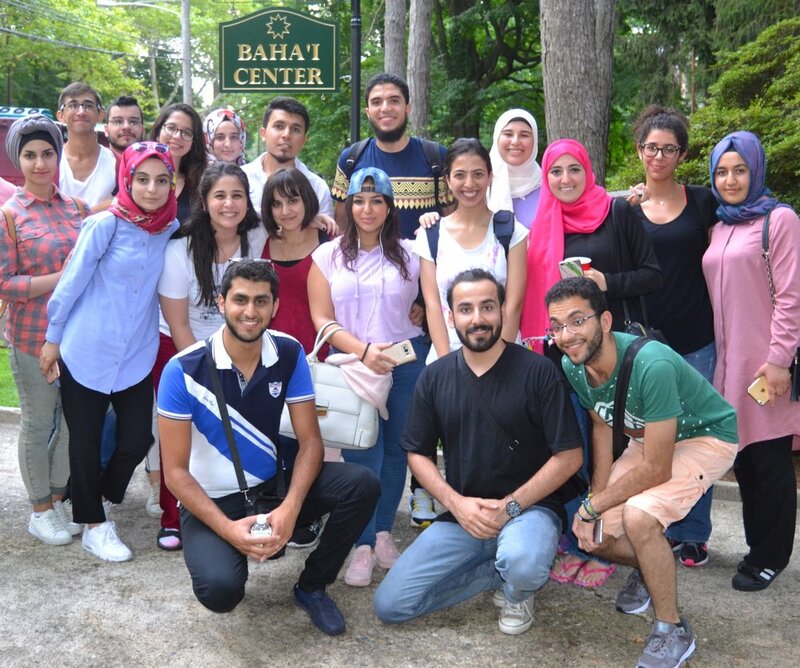 The five-week program, sponsored by the U.S. Department of State (Bureau of Educational and Cultural Affairs), introduces students from the Middle East (summer) and Southeast Asia (winter, now discontinued by the State Department) to central elements of U.S. history, society, institutions, and democracy through a focus on religious freedom and pluralism in the American context. In 2015 and 2016, the Winter Institute was also part of the Young Southeast Asian Leaders Initiative (YSEALI) Academic Fellowship, which brings exceptional young leaders ages 18-25 to a U.S. university or college campus and includes an academic residency, leadership development training, an educational study tour, community service and collaboration with American peers. The YSEALI Academic Fellowship is President Obama’s signature initiative to strengthen leadership development across ASEAN countries, deepen engagement with young leaders on key regional and global challenges and strengthen people-to-people ties between the United States and Southeast Asia. The program, run in cooperation with the International Center for Contemporary Education, consists of a four-week residential component in Philadelphia, including various religious, historical and cultural site visits, as well as trips to New York City, Washington, D.C. and other parts of the country. Topics include: religious pluralism, the relationship between religion and state, freedom of religion, separation of powers/checks and balances, one person/one vote, rule of law, the nature of American citizenship, volunteerism in civil society, protection of minority rights (including LGBTQ and disabilities concerns), interfaith dialogue, critical thinking, nonviolent conflict-resolution, civil rights, ethnic diversity, women’s rights and immigration. Advance comprehension of democracy and religious liberty in the United States. Deepen knowledge of the key structures and ideas in U.S. society that have created the context for religious pluralism. Expand understanding of different religious traditions and foster appreciation for the strengths and complexities of a religiously pluralist society. Identify and guide learning of the principles, values, and practices of interfaith dialogue. Develop students’ capacity for leadership in their home contexts. Offer students opportunities to learn and grow through significant engagement with American citizens of diverse backgrounds and interests.